In the last 5-6 years, the amount of teens experiencing a diagnosed major depressive order has increased by 189%, a nearly tripled rate. WHAT? We can’t even put words together about this alarming, devastating, and tragic number. At REAL LIFE, we work with adults – but many of them are ones who fall within the statistic listed above – and these situations began when they were young, and now they are adults, coming to us for help, because they haven’t dealt with the childhood issues (more on that in the future)! So, where did this information come from and what other info is out there? Joe Rogan had a recent podcast that interviewed Jonathan Haidt, a professor, author, and social psychologist. It was an incredible podcast and brought out some excellent points. While the link to the entire podcast is below, it is two-hours long –with who busy each of us are today, many won’t have the opportunity to listen to it in its entirety. But, the information is critical…. So REAL LIFE intern (thank you Sydney Smith) took a listen and summarized key points below! 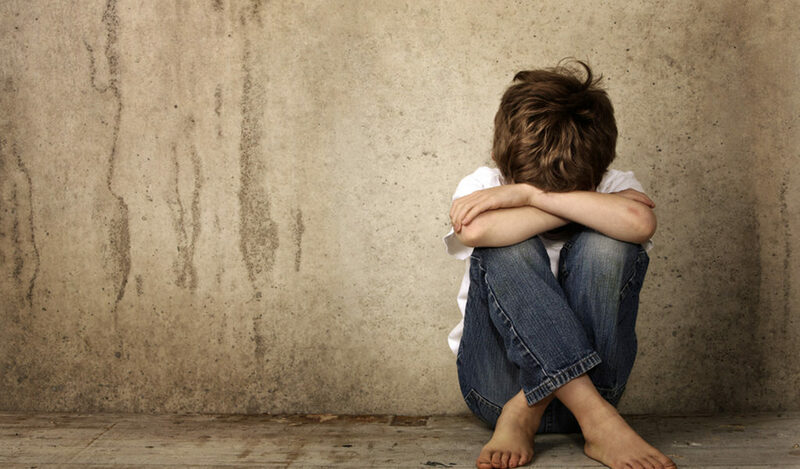 Kids who are neglected and abused are damaged. Kids can change things within their lives and those changes have some negative consequences and repercussions that are going to have to be actively fixed. Where the problem lies, is that there is a restriction on how you are able to communicate to children, students, and young people in general because of how patterns form within their minds. The death rate for children has been plummeting for all causes other than suicide which has unfortunately steadily increasing. The world may seem to be safer for children to live in however, they reside in more than one world. They have the internet, which is going to expose them to virtual insults that stick with them forever. We raise our kids within this century to be physically safe in the outside world, ultimately leaving them unsafe in the virtual world. We live in a world where everyone receives a participation trophy and parents don’t want to see their children lose; this is forcing children to miss out on a giant learning opportunity. Parents seem to believe that the goal in life is to cultivate self-esteem directly, by doing so they are actually crippling the system again. In fact, the kids who have high self-esteem are more prone to be violent and have problems throughout life. Instead of have the goal to build children’s self-esteem, the goal should be to teach abilities and skills to children. And, when they use those learned abilities and skills, that then indirectly gives them self-esteem and compassion (the right way). If parents continue to see the world as dangerous and threatening, they will ultimately raise emotionally stunted kids who are at a much higher risk of depression, anxiety and suicide. Some parents think that kids are at risk of harm from letting their children into the world, but what they don’t realize is there is also a risk of keeping them inside. Haidt describes that risk as a “silent secret” – the invisible harm of coddling. An important concept to understand and be familiar with is the concept of “antifragility.” Haidt points out that antifragility is a property of systems that increase in capability, resilience, or robustness as a result of stressors, mistakes, faults, attacks, and failures. One of his examples points to a child’s immune system. If we keep our children in a bubble and use bacterial wipes and not let them be exposed to bacteria, we have crippled the immune system – science has continually shown that exposure to the germs and bacteria actually makes for a strong immune system. The system has to be knocked over, it has to be challenged, threatened, and overall it has to learn how to expand its abilities – this is true for the immune system and systems in general. Imagine keeping your daughter in a protective tank, where nobody would tease her or hurt her feelings for 18 years. Would you do it? Haidt responds with absolutely “no” because the experience of getting our feelings hurt ultimately enables resilience – we, as humans, need the ability to bounce back. (Side Note: At REAL LIFE, this is something we work very hard with our adults on – they don’t know how to bounce back from life situations that are tough, so their way to deal with said situations is through unhealthy coping mechanisms, such as drugs or alcohol – more to come on this in future blogs). The percentage of kids aged 12 to 17 in America who met the criteria for having a major depressive episode, that is they’re given a symptom checklist with nine symptoms and they say yes to at least five of them, has been steadily increasing. The rate for boys increased from 5% to 7% by 2011, which Haidt mentions is actually a substantial increase. In girls on the other hand, the line for them starts higher as girls have more mood disorders, more inside depression and alcoholism. The rates for girls remained steady until about 2012. Then by 2012 the rate was about 12% and now the rate has increased to 20%, which is huge. That means that 20% of American girls today have experienced a major depressive episode within the last year! Haidt mentioned the rates in boys and girls, but he moves on to discuss the college student population. Haidt mentions that the rates were pretty low from 2010 to 2012. They saw about 2%-3% in college men and about 5% to 6% in college women who suffered from a major depressive episode. However, the Generation Z kids arriving to college in 2016 showed a substantial increase in the rates. The rate for women sky-rocketed, going from 6% to almost 15% in the span of almost 4 years. Some people would say that an increase from 6% to 15% isn’t as catastrophic as we are saying it is. Haidt however says it is. There was a very low rate at the beginning of 2010 and the its up 189%, nearly tripled within the last five or six years. Why, you may ask? Social media! If you look at the timing, the number of Facebook accounts increase as well as the release of the iPhone. By 2010-2011 around half of the American teenagers have a smart phone with access to social media. And among the ones who do not have access to this???? The makers of them – they have been clear they do not allow their children access to this due to the harm is causes. Social media and the aspect of bullying is just tragic. The nature of girls bullying is hyper charged by social media and smartphones. The other mechanism is social comparison – making teen girls feeling as if they need to meet society’s beauty standards, statuses, etc. Beginning with social media within recent years, we can even put a filter on in Instagram to make lips bigger, skin cleaner, and eyes bigger to make us “beautiful.” A final mechanism mentioned is the fear of missing out and the fear of being left out. Girls are much more sensitive in this aspect when it comes to whether or not they’re included. The overall experience of being a girl who was born in 1995 or later is substantially different from being a girl born in 1990. Why? Technology. Girls born in 1995 experienced technology earlier than those born in 1990. Technology became more attractive to those girls born in 1995, so much so that they avoided all other healthy activities like playing outside and interacting with groups of friends non-virtually. Children began to isolate themselves by focusing on their screens rather than the world around them. Haidt cannot express enough that parents need to do their best to talk to other parents and even with the principals of their schools to help children stay off of their phones/social media more. At home, kids should have restricted time on their devices, to include not having an iPhone or a computer screen in their bedroom. Kids become so attached to these devices that they check their statuses all throughout the night and it interrupts their sleep. Get the devices out of the bedroom. Kids in elementary and middle school should not have Instagram, Facebook, or Snapchat. There shouldn’t be any social media until at least high school. This will ultimately help the social dilemma, including lowering the anxiety, depression, and suicide and attempts, to just mention a few. Haidt suggests that no good can come from an elementary or middle schooler having social media. With the rate of children being bullied, experiencing depressive episodes and even committing suicide on the rise, we need to do everything we can to help, and the first step is to limit children’s access to social media. This won’t completely eradicate the problem, but it’s a start! To listen to the whole podcast, the Joe Rogan Experience #1221 Jonathan Haidt Interview, click here.